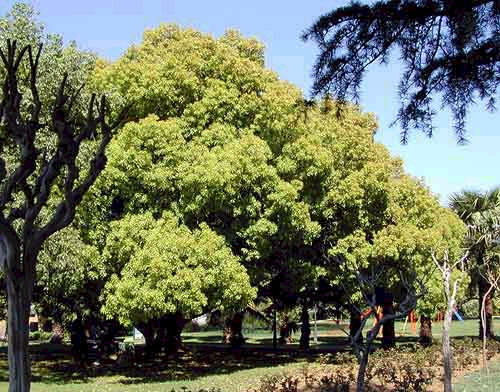 A medium to large sized evergreen tree with short trunk branching low down. Crown dome-shaped, foliage dense and light green. A native of China and East Asia. Commonly grown as an ornamental and shade tree in South Africa but invasive in coastal bush, forest margins and river banks.